Samuel H. Clark is a results-driven and resourceful attorney with a record of success in real estate, environmental, and oil and gas law. 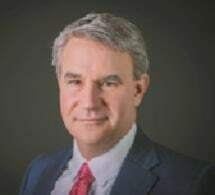 Mr. Clark has expertise in representation of landowners and operators in matters relating to land/oil and gas leasing, lease forfeiture, actions to cure title defects, and ownership disputes. He also has experience in litigation in Pennsylvania state and Appellate Courts, U.S. District Courts throughout Pennsylvania, and U.S. Bankruptcy Court in the Western District of Pennsylvania. Through his private practice and as former Regional Counsel to the Pennsylvania Department Environmental Protection, Mr. Clark has developed an extensive network of government and industry contacts.